If you don’t live in New York City, you may not have heard of LocalVox. But the startup, which aims to simplify local marketing for small businesses and publishers, is beginning to take off. Headquartered in the Big Apple, the startup initially focused its efforts in its own backyard, but thanks to the $7.5 million series A it closed two weeks ago, it is now setting its sights on a more national audience. As part of increasing that scope, LocalVox is today announcing the acquisition of Postling, also an NYC-based startup, which makes a social media dashboard that helps small business owners monitor their social streams, get notified when someone posts to their social pages, and discover who their most influential followers and customers are on social media. 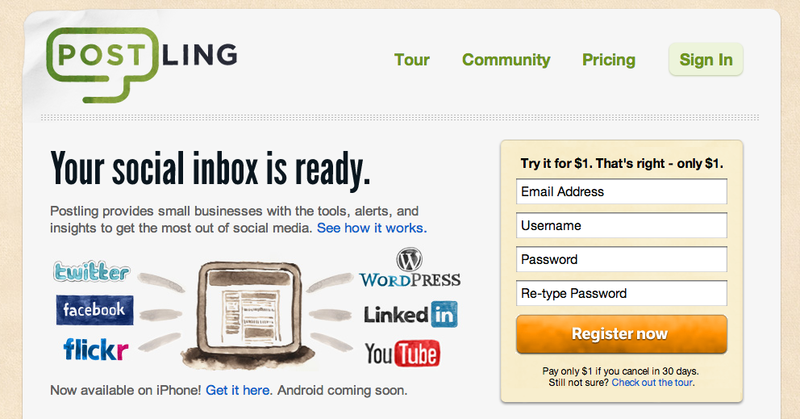 Basically, Postling has been trying to take HootSuite and simplify and streamline it by presenting social media management in a Gmail-style interface. The idea being that most management tools out there right now favor the stream approach and are far too bloated and noisy for most small business owners to use effectively. While LocalVox isn’t sharing the financial terms of the deal, it has acquired Postling’s technology and platform with the acquisition, however, the startup’s Social Inbox will continue to be offered as a standalone app on Postling.com. LocalVox president and co-founder Trevor Sumner tells us that, while most of Postling’s staff has “moved on to other opportunities,” Postling CTO Haim Schoppik will be joining LocalVox, an addition the company is excited about given Schoppik’s role in not only building Postling but as a co-founder and one of the chief architects of Etsy. With the acquisition, LocalVox now has access to Postling’s 20K small business customers and has integrated its product into LocalVox 2.0. LocalVox 2.0 includes a unified social media inbox that enables small business owners to publish content across their social media channels, as well as a new feature called MobileCast, which gives SMBs access to a mobile, geo-targeted deals platform. The suite gives small businesses a redesigned dashboard that allows them to easily track the visibility of their brand on social media channels, how many people are reading their content, and how many people they can reach through LocalVox through its new Klout-like “findability score.” It also includes tools for automatic emails to customers; Facebook and website updates; the ability to publish content across a network of publishers; and the option of updating listing information on 100 different directories. Sumner says that LocalVox is currently seeing double-digit, month-over-month revenue growth and had its best sales day to date on Wednesday. When we first covered the company’s launch last November, it had a few hundred SMB customers, but has since grown its customer base to “several thousand,” which now includes names like Whole Foods, Chelsea Piers, Buffalo Wild Wings and Sushi Samba. It’s been able to do this by sticking to its core mission: Bringing simple, affordable local marketing to mom-and-pop shops and giving them access to tools and channels normally reserved for big, multinational brands. Increasingly, Sumner says, the key to doing that starts with leveraging mobile, as mobile marketing allows businesses to more effectively measure the ROI of marketing by more easily tracking the number of people that claim deals, for example. While a lot of SMBs feel pressure to create mobile applications for their businesses, the truth is for some local restaurants or hardware stores, there’s really no need — it’s a distraction. Instead, it’s more valuable for SMBs to focus on creating a mobile-optimized website. Yet, in the big picture, the LocalVox President says, while small business owners know they need to take advantage of mobile marketing and are asking for it, they don’t really know what that means. LocalVox’s technology makes it easier for small businesses to have their locations and websites be discovered by mobile search engines and found on a hundred different local directories. This can be huge for SMBs, who rely on being able to stand out from the crowd of local Chinese restaurants or barber shops by optimizing their placement on search engines. While Sumner says that they aren’t yet building mobile websites for their customers, they already have access to their profile information, Facebook, Twitter and Yelp pages, events, announcements, photos, videos, etc., so it won’t be a huge leap if and when they do. Really, the most important value-add for LocalVox is education. Today, many small businesses fail to understand that the simple difference between a 3 star and a 3.5 star rating on Yelp can have a huge effect on traffic — especially when potential customers are reading these Yelp reviews on mobile phones, where the visual scope is more compact, and focused — on the score and top reviews. So, while Google has become very active in the local space and has obviously been making investments in its mobile wallet, marketing and local business search and discovery, Sumner contends that Google struggles to see the broader picture beyond its own properties — that small businesses are using Twitter, Facebook and Yelp to expand their digital presence and their marketing footprints. Plus, they don’t want to build local sales forces. Local businesses require a lot of education, and a lot of companies aren’t focused on solving that part of the equation. Again, that’s where LocalVox thinks it can have a big impact — by providing an integrated marketing platform for local businesses that includes service as well as support. For example, LocalVox assigns each client their own dedicated support rep to help walk them through how to best leverage local marketing and SEO. In today’s world, social media has become the central distribution and feedback mechanism for SMBs’ local, online marketing efforts. Yet, while business owners know they need to be in as many places at once as possible, web, search and mobile, they don’t know how to best leverage these channels, or manage their properties once they do. By integrating Postling’s tech into its service, LocalVox is becoming a real integrated, cross-channel marketing platform for SMBs. It’s a worthwhile mission to help businesses simplify the complexities of social media monitoring and drive social conversations online. It still has a long way to go, but there are some 27 million SMBs in the U.S., so the opportunity is a big one. 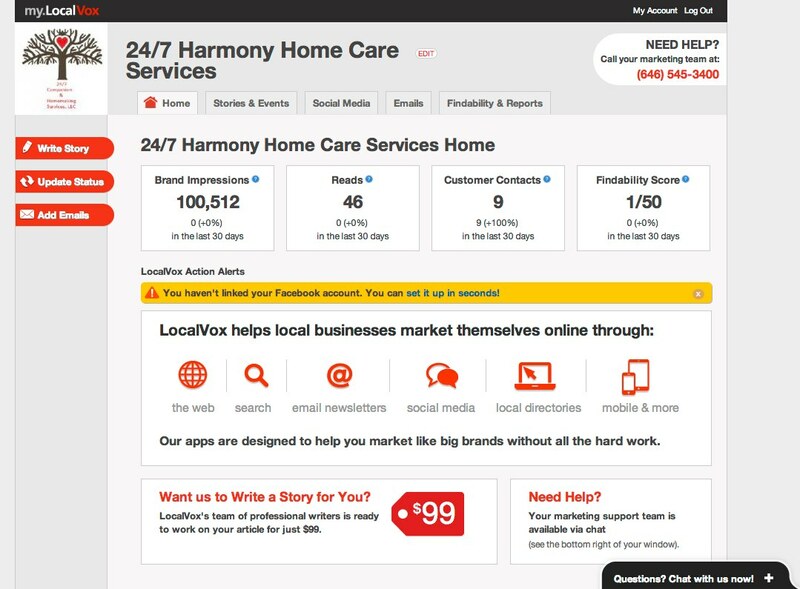 More on LocalVox at home here, and Postling’s blog post on its acquisition here.